It might not be a topic everyone is talking about, but that doesn?t make the injuries less of a problem. In fact, youth in agriculture, whether they are living, working or visiting an agricultural environment ? mainly farms ? 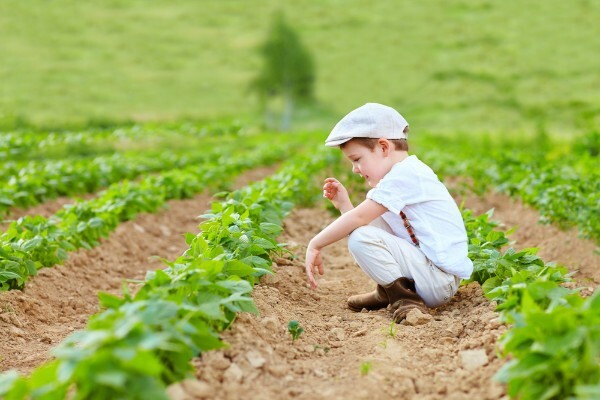 is such a big issue the National Committee for Childhood Agricultural Injury Prevention (NCCAIP) was formed in 1992. A plan was implemented in 1996 that promoted research, education, leadership, surveillance and public policy to help curb the problem of injuries to youth in agricultural settings. Even with a national plan, the numbers are high. They are so high, in fact, the National Children?s Center for Rural and Agricultural Health and Safety reports that a child died once every three days in 2016. There are gears, pulleys and sharp edges on some equipment. It?s best to avoid loose-fitting clothing that can get caught or ripped. Keep cuffs buttoned and shirts tucked. Keep long hair under a cap. Take emergency preparedness courses, in case something goes wrong. Everyone should know how to administer CPR and have basic first-aid skills. Make sure everyone knows how to call for help in an emergency and that fire/police/EMT personnel have access to information they may need, like what is in each building or where chemicals are stored. It?s important to have a check-in time. If a check-in time is missed, someone should follow up to make sure everything is OK. Additionally, you should communicate to someone when you are mounting or dismounting equipment, as a precaution. It only takes a moment for a life to change forever. At Maison Law Firm, we understand the struggles personal injuries can create, and we want to help. If there?s been an agriculture-related accident, come see us in one of our 3 offices in Visalia, Bakersfield and Fresno.